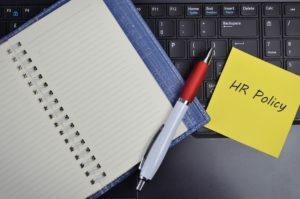 Whether an employee is leaving for personal reasons or is being fired for cause, managing an employee’s separation is one of the essential functions of a human resources department. Skillful handling of employee departures can help protect your company from liability and potential litigation. Unfortunately, many companies fail to establish protocols that actually work for their needs. Designing and implementing effective termination policies can help your company handle terminations and navigate complicated employment laws as smoothly as possible. Developing and distributing written separation policies throughout your organization ensures that management, staff, and HR all work from the same playbook. Employers should consult with an attorney to create policies that address both voluntary separations (when an at-will employee leaves of his or her own choosing), terminations (when an at-will employee leaves at the request of the company), and contract terminations. Compliance with state and federal rules and regulations is critical, and policies must accommodate employment laws governing medical leave, mass layoffs, compensation and benefits, and other concerns. When and how an employee receives his or her final paycheck. Payout of vacation or PTO if applicable. Status of 401(k) or other pension/retirement plans. Your company may also choose to conduct an exit interview. Documentation of the circumstances of the separation, and an exit interview if one is conducted, should be kept with an employee’s personnel records and stored appropriately. Many organizations have some version of a “three strikes” disciplinary policy, providing for a series of escalating warnings and penalties that culminate in automatic termination (e.g., for a certain number of accrued absences within a certain period of time). These policies strive to be objective and impartial, removing any element of favoritism or prejudice from the discipline process. However, these policies can fail to take into account employees’ protected disabilities or other excusable reasons for absence while failing to appropriately punish employees who abuse the spirit of the system by incurring exactly the number of intentional, last-minute absences that are allowable without penalty. They also can be confusing or misleading to an employee who is terminated for cause without progressive discipline (e.g., an employee terminated as a result of violence in the workplace who did not get a warning or second chance). Further, these rigid policies sometimes lead to systemic discrimination of exactly the type they were intended to avoid. A better option is to have a clearly-established, written code of conduct and regular employee reviews. Document each employee’s continuing performance and have regular in-person meetings to discuss and document any issues. A documented pattern of poor performance reviews, absenteeism, and counseling can be invaluable evidence if an employee disputes his or her termination. Ensure that employees are aware of alternative channels to appeal or discuss negative performance reviews to reduce claims of misconduct or mismanagement and make sure all discussions are documented. At the core of many discrimination, retaliation, and wrongful termination claims are the “little white lies” that employers tell workers when letting them go. Often, HR directors or supervisors will couch the reasons for an employee’s termination in niceties that run disastrously afoul of the law (e.g., “since your heart attack, we think you should take more time to rest”). Sometimes an employer will leave negative information out of an employee’s records in an effort to help an employee avoid negative long-term consequences (e.g., an employee suspected of stealing narcotics who agrees to resign rather than face an investigation that could result in legal or professional repercussions). This can open up the employer to liability for a wrongful termination lawsuit, not to mention possible ramifications for its failure to report illegal or unprofessional behavior to the appropriate authorities. Although these efforts are often intended to help, being truthful, direct, and succinct is the best policy. For at-will employees, it is not necessary to provide a reason for termination. “The company has decided to terminate you effective [date]” is sufficient. If an employee is terminated for cause, it’s not unreasonable to provide the basis for your decision if you choose to do so, but do not fabricate reasons or niceties to justify your decision or cushion the blow. In some jurisdictions, if an employee who is a member of a protected class can prove that the reason an employer gave for his or her termination is untrue (“pretextual”), the finder of fact is permitted to assume that improper discrimination has occurred. Having neutral, well-understood termination policies is just the beginning. Keeping thorough, organized personnel files is another key to effectively managing terminations (along with nearly every other facet of employee management). Seek the advice of an employment attorney who is experienced in your industry and jurisdiction to help your company develop policies and protocols that help you staff appropriately, manage your personnel wisely, and mitigate your potential liability and risk.